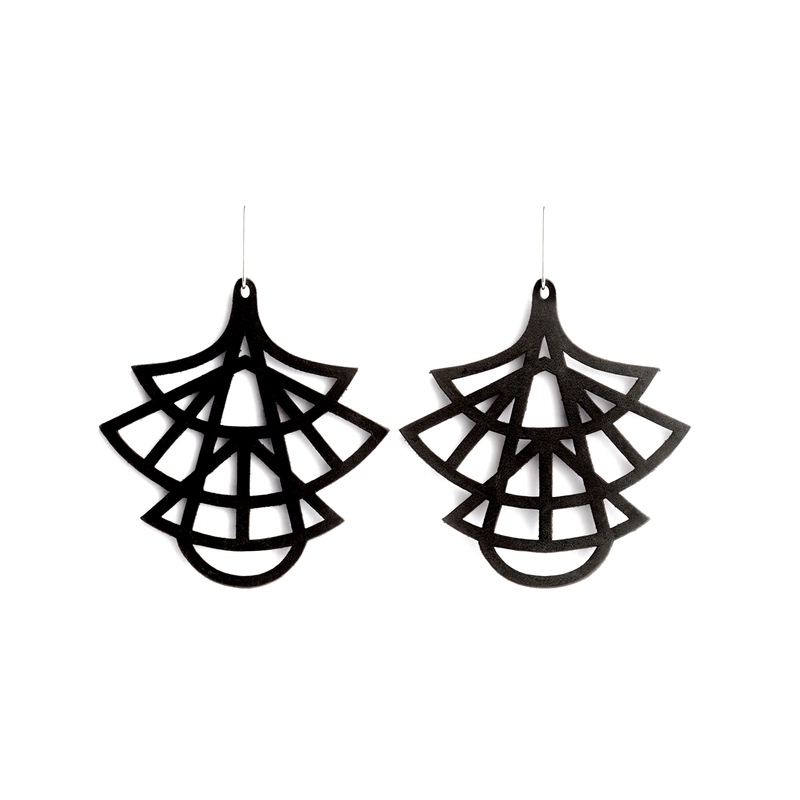 Our Asian-feel, fanned-out Stilo leather earrings are available in black, gold, teal or dusty pink. 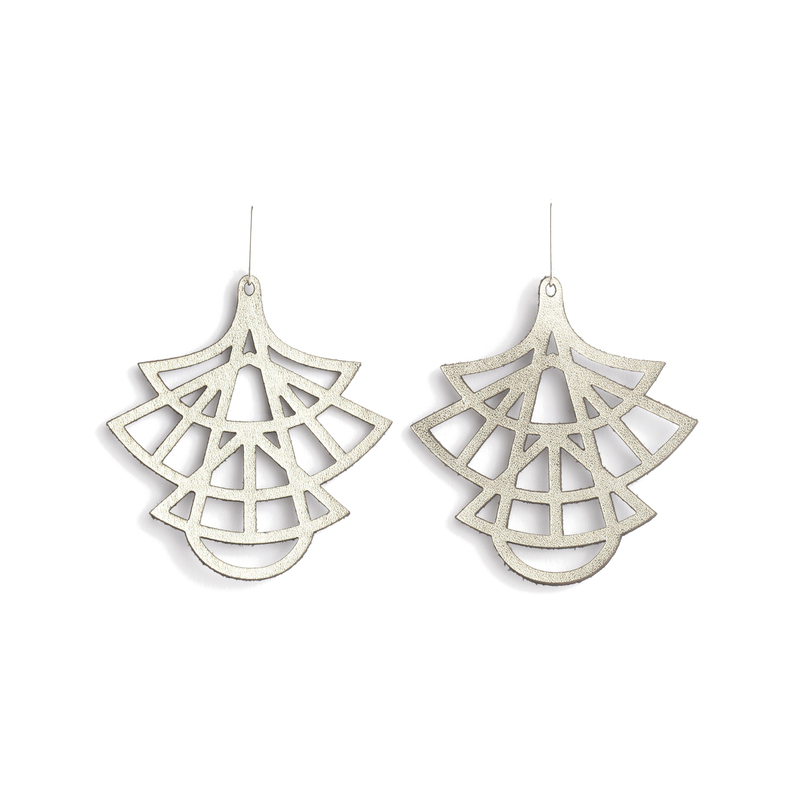 All earrings are hung on sterling silver hooks and measure 8.5cm from top of the hook to bottom of the earring and 6.5cm wide. 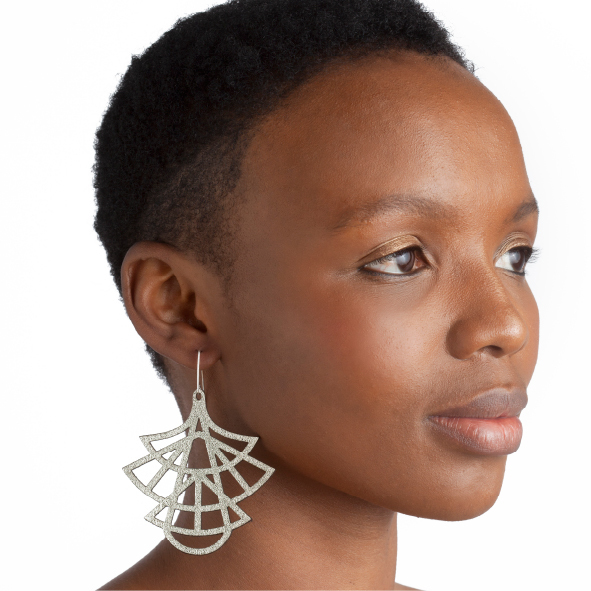 The silver plated tassel variation measures 12cm from top of the hook to bottom of the earring. 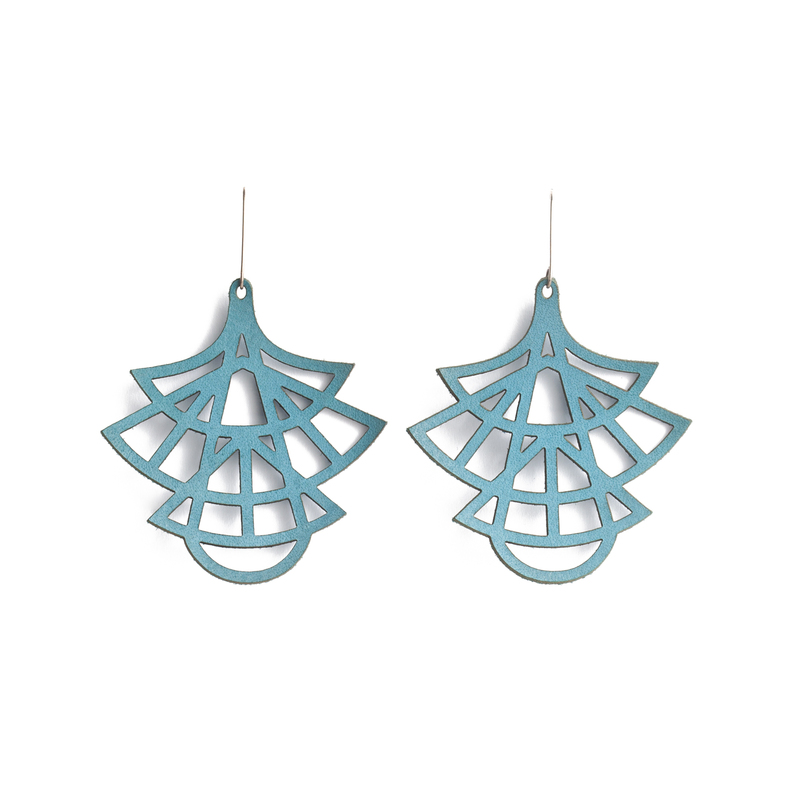 Notify me when Turquoise Stilo leather earrings is available.